NOTE : IJOOMLA Installer no Longer supported. 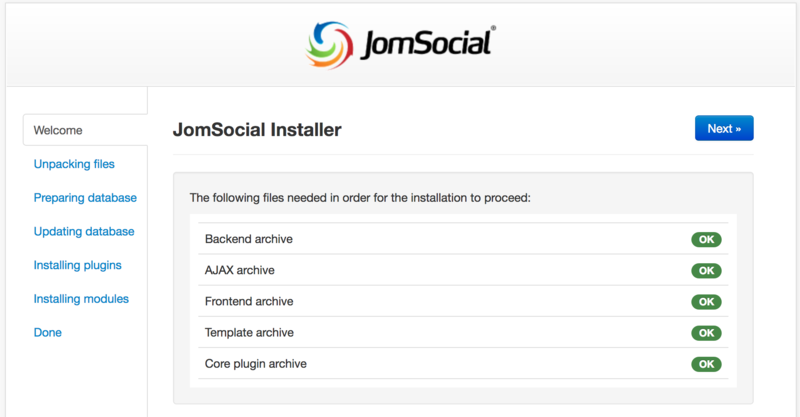 This guide covers a fresh installation of the jomSocial 3 component into the Joomla CMS. You will need a working Joomla! site in order to install JomSocial. Please refer to the article, minimum system requirements, to determine the requirements your server will have to meet. "My Downloads" page with all of the purchases you ever made will be open. Domains you wish to install this product on - All additional domains you want to install the component on. No technical support will be provided for those. After support and instalation domains have been set, the green download button will become active and you will be able to download the package you have purchased. 1. 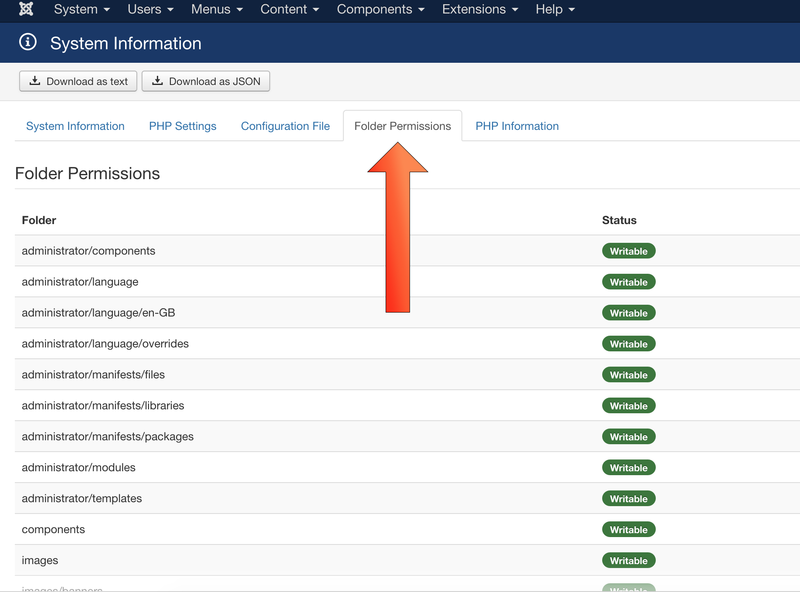 Login to your Joomla Administrator backend. From the System dropdown menu, click on System Information. 2. Click the Folder Permissions tab and make sure all folders are Writable. After iJoomla Installer installs the component on the site, you can proceed with Complete Your Installation steps.